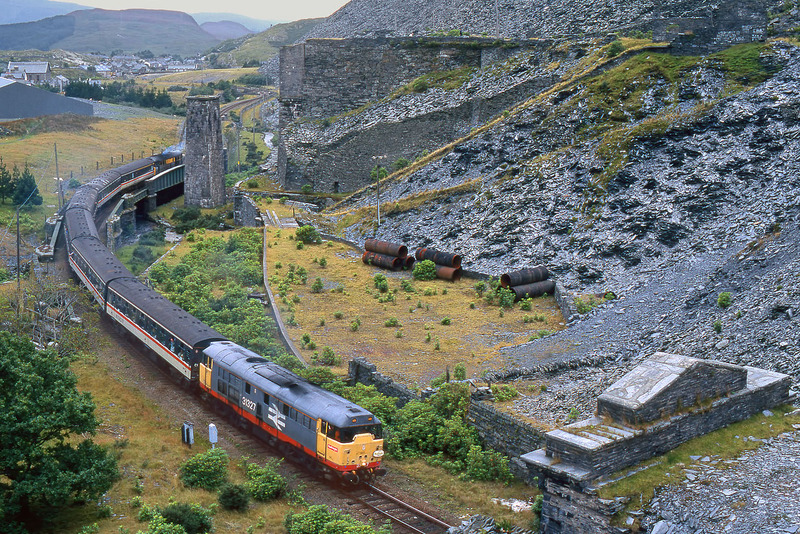 Surrounded by the grey slate spoil heaps of the Gloddfa Ganol Slate Mine, 31327 slowly approaches the entrance to Ffestiniog Tunnel on 27 August 1994 with the Pathfinder Tours 1Z46 14:58 Trawsfynydd to York 'Trawsfynydd Trekker' railtour. 31190 can be seen on the rear of the train. This whole area around Blaenau Ffestiniog shows signs of the former slate quarrying industry.